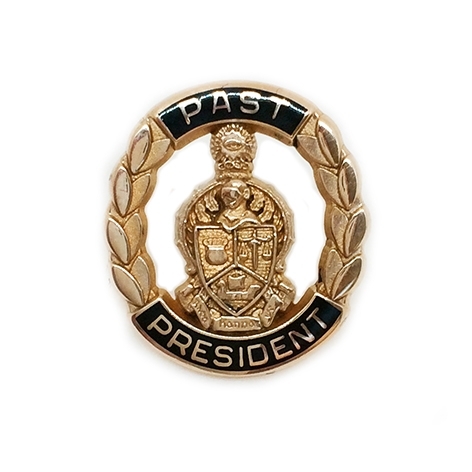 The Past President's Button (or pin) is given to the president at the end of his or her term by the chapter. Usually the outgoing president is presented with it at the completion of the installation of the incoming president. If you did not receive your Past President's Button, it's not too late! They can be purchased at any time and be worn by any individual who has held the honor of being president of his or her chapter.